November 3, 4, and 5 are the dates of the 2012 Midyear Meeting and Research Forum of the American Society of International Law, to be held in downtown Los An geles and at UCLA School of Law. For many years ASIL's Executive Council and the Board of Editors of the American Journal of International Law convened in Washington, D.C., in the autumn -- about midway between the last ASIL annual meeting and the next. The Los Angeles gathering will entrench a new tradition of convening outside Washington, for an expanded meeting featuring not only the ASIL/AJIL leadership meetings, but also multiple public events aimed at legal practitioners, professor and students, judges, and others interested in international law. Welcoming attendees at the 2012 Midyear Meeting will be a new initiative: the inaugural Research Forum at which a global array of ASIL members (including, as the photos in this post indicate, many of our own contributors). Chosen from a highly competitive selection process, they will present and invite focused discussion on works in progress. The Research Forum is the brainchild of IntLawGrrl alumna Laura Dickinson (left) (George Washington) and Kal Raustiala (UCLA). Working with them on the Forum Planning Committee have been IntLawGrrl alumnae Nienke Grossman (near left) (Baltimore) and Mary Ellen O'Connell (middle left) (Notre Dame), along with our colleague Mark Drumbl (Washington & Lee). ► Panel on Current Issues in International Dispute Resolution, a roundtable discussion featuring IntLawGrrl and ASIL immediate past President Lucy Reed (right) (Freshfields Bruckhaus Deringer), ASIL President-Elect Donald F. Donovan (Debevoise & Plimpton), and Edward T. Swaine, (George Washington); moderated by ASIL President David D. Caron (California-Berkeley). 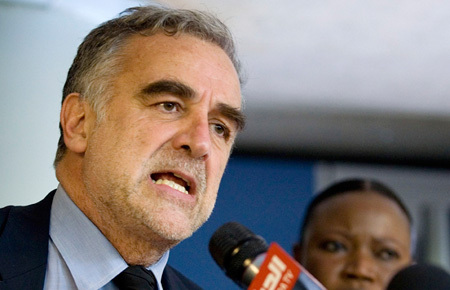 ► Keynote address by International Criminal Court Prosecutor Luis Moreno Ocampo (left) (photo credit). A conference luncheon immediately precedes this address. ► Panel on General Counsels’ Perspectives. ► Forum session on Violence and Conflict. Papers to be presented: "Privatized Sovereign Performance, Counter-terrorism, and Endangered Rights" by IntLawGrrl Fiona de Londras (right) (University College Dublin); "Killing in the Fog of War" by Adil Ahmad Haque (Rutgers-Newark), and "From Gender-Based Violence to Women’s Violence in Haiti" by Benedetta Faedi-Duramy (Golden Gate). ► Forum session on Environmental Scarcity and Sustainability. Papers to be presented: "International Law in a Time of Scarcity: The Case of Bluefin Tuna" by Kristen Boon (Seton Hall); "The Perils and Promise of Indicators in Global Governance: A Case Study of Corporate Sustainability Reporting" by Galit Sarfaty (Wharton/Penn); and "Transnational Oil Companies, Indigenous Peoples, and the Local Construction of International Law" by Pablo Rueda (California-Berkeley). ► Forum session on Interpretive Strategies: Statutes, Treaties, and Customary Law. Papers to be presented: "Jurisdictional Standards (and Rules)" by Adam Muchmore (Penn State); "Is Article 38(1) of the ICJ Statute Outmoded? Toward a New Theory of Sources in International Law" by Noora Arajärvi (University of the West Indies); and "Vision and Technique: Accounting for and Justifying Differing Approaches to Treaty Interpretation Over Time" by Julian Arato (NYU). ► Forum session on The Security Council Today and Tomorrow. Papers to be presented: "Shaming Power of the Veto" by IntLawGrrl alumna Saira Mohamed (left) (California-Berkeley); "Variable Multipolarity and UN Security Council Reform" by Bart Szewyczk (WilmerHale); and "Iran, Nuclear Nonproliferation, and the International Atomic Energy Commission" by Aslı Ü. Bâli (UCLA). ► 1st of 2 Forum sessions on New Frameworks in International Economic Law. Papers to be presented: "Models of International Governance: An Examination of International Financial Regulatory Regimes" by Eric Pan (Cardozo); "Testing Reflexive Governance in the Context of the Social Dimension of the Economic Crisis (with a focus on the ILO and the OECD)" by Anne Trebilcock (Centre de droit international, Université de Paris 10 Nanterre); and "Breaking the Frame between Public International Trade and Private International Business" by Sungjoon Cho (Chicago-Kent) and Claire Kelly (Brooklyn). ► Forum session on International Cultural and Intellectual Property. Papers to be presented: "The Globalization of Cultural Property Law" by Lorenzo Casini (University of Kent); "Unpacking Imperialisms: Traditional Knowledge Rights and Wrongs" by Sean A. Pager (Michigan State); and "Democratic Legitimacy and Identity-Based Citizenship" by Natalie Oman (University of Ontario Institute of Technology). ► Forum session on New Developments in International Environmental Law-Making. Papers to be presented: "Artificial Islands in the Persian Gulf and International Environmental Law Principles" by Seyed Mohammad Mehdi (Vermont); "International Environmental Duty to Restore Ecosystems" by IntLawGrrl alumna Anastasia Telesetsky (right) (Idaho); and "Water in Investor-State Arbitration" by Badr Zerhdoud (Georgetown). ► 2d of 2 Forum sessions on New Frameworks in International Economic Law. Papers to be presented: "Consumer Protection at the World Trade Organization" by Sonia Elise Rolland (Northeastern); "Expertise and Legitimacy in International Investment Law: Governing Access to Investor-State Arbitration" by Jason Cross (Michigan); and "An Alternative Investment Law Framework? : An Analysis of an Investment Treaty/Contract Hybrid" by Ibironke Odumosu (Saskatchewan). ► Forum session on International Law and Institutions in Africa. 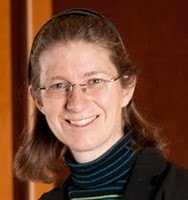 Papers to be presented: "Between Adaptation and Emancipation: The African Union and the Project of Global Constitutionalism" by Theresa Reinold (Wissenschaftszentrum Berlin); "The Court of Justice for Economic Community of West African States: Building a Human Rights Rule of Law in Africa?" by Laurence R. Helfer (Duke), Karen J. 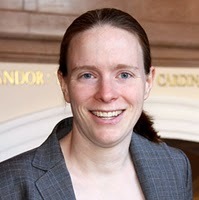 Alter (Northwestern), and Jacqueline McAllister (Northwestern); and "Transitional Justice in the DRC: Insights from the Mobile Courts" by James Wormington (American Bar Association Rule of Law Initiative). ► Forum session on Transnational Networks and Normative Orders. Papers to be presented: "Transnational Legal Orders: Their Rise and Impact" by Gregory Shaffer (Minnesota); "Post-conflict Justice Networks" by IntLawGrrl Elena Baylis (left) (Pittsburgh); and "The International Norm of the Rule of Law" by Philip M. Nichols (Wharton/Penn). ► Forum session on American Foreign Relations Law. Papers to be presented: "Treaties and the Constitution" by David Sloss (Santa Clara); "Congressional Control of U.S. Human Rights Policy: An Empirical Examination of Legal and Normative Effects" by IntLawGrrl alumna Margaret McGuinness (near right) (St. John's); and "Between Law and Diplomacy: The 'Suability' of Foreign Officials iin U.S. Courts" by IntLawGrrl alumna Chimène Keitner (far right) (California-Hastings). ► Forum session on Bottom-Up Influences in the Development of International Law. Papers to be presented: "International Law from the Bottom Up: Fragmentation and Transformation" by IntLawGrrl alumna Barbara Stark (left) (Hofstra); "Who Mobilizes for Human Rights? International Law, Social Mobilization, and Societal Inequality" by Justin Simeone (NYU); and "Parochial International Law? Assessing the Impact of National Legal Culture" by Marco Benatar (Vrije Universiteit Brussel). Shahram Dana (John Marshall); and "Are Arbitrators Political?" by Michael Waibel (Cambridge). ► Forum session on International Organization, and the Evolution of Treaty Regimes. Papers to be presented: "The Interplay of Exit and Voice: How Nations Behave in International Regimes" by Erlend M. Leonhandsen (Scandinavian Institute of Maritime Law); "Treaty Executives" by IntLawGrrl alumna Jean Galbraith (right) (Pennsylvania); and "An Economic Analysis of International Rulemaking" by Barbara Koremenos (Michigan). ► Forum session on Empire, Global Commodities, and Emerging International Regimes. Papers to be presented: "Sugar and the Making of an Early Modern Multilateral Institution: Explicating the 1902 Brussels Sugar Convention" by Michael Fakhri (Oregon) and "Building an American Legalist Empire, 1898-­1919: the Profession and Diplomacy of International Law" by Benjamin Coates (Columbia). (Wyoming); and "Self-Determination, Statehood, and Unilateral Declarations of Independence: The Case of Palestine" by Robert P. Barnidge Jr. (Reading). ► Forum session on Compliance and Institutional Design. Papers to be presented: "Supply Side of Compliance" by Rachel Brewster (Harvard); "Best Evidence: The Role of Information in Domestic Judicial Enforcement of International Human Rights Agreements" by Yonatan Lupu (California-San Diego); and "The International Human Rights Regime: Delaying Democratization in the Worst Offenders" by Peter Rosendorff (NYU) and James R. Hollyer (Yale). ► Forum session on Participation and Politics in Post-conflict Justice. Papers to be presented: "International Criminal Law Expressivism and Global Transitional Justice" by IntLawGrrl alumna Margaret de Guzman (left) (Temple); "Unspeakable Memories, Unattainable Truths: Victim-Witness Testimonies in the Khmer Rouge Trials" by Laura Marschner (Zürich); and "Transparency And Amicus Participation In Investor-State Arbitration: An Account of Inter-Dependence, Structural Disincentives and the Democratic Deficit" by Jarrod Wong (Pacific McGeorge). ► Forum session on Hard and Soft Law in International Law and International Relations Theory. Papers to be presented: "International Law and International Relations: Taking Stock, Looking Ahead" by Jeffrey Dunoff (Temple) and Mark Pollack (Temple) and "Soft Law at Work: International Standards and the Design of National Human Rights Institutions" by Katerina Linos (California-Berkeley) and Thomas Pegram (Loyola Maryland). Registration information, full program, and other details here.